Osman is a Commonwealth Scholar from Sierra Leone currently completing a PhD in Chemical Engineering at the University of Hull. 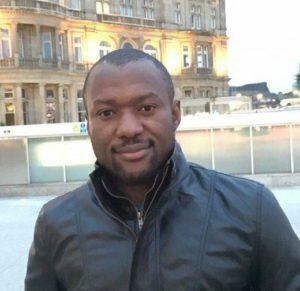 He previously completed an MSc in Petroleum, Oil and Gas at the University of Hull as a Commonwealth Scholar and completed a BEng in Mechanical and Maintenance Engineering at the University of Sierra Leone. Osman’s hobbies include athletics, social development work, traveling and listening to music. Join the North East Regional Network Facebook group to find out about upcoming events, and to get in touch with other network members. Photos from previous network events are available on Flickr. If your institution is not listed above and you would like to volunteer as a university representative, please contact Osman.